Venerable Ajahn Anan Akincaño practiced under the meditation master, Venerable Ajahn Chah Bodhiñāna Thera, before establishing Wat Marp Jan in 1984. Today he is considered one of the most prominent teachers in the Thai Forest Tradition. In this most recent compilation, various disciples of Ajahn Anan translate his talks and discussions about meditation and Dhamma practice. A compilation of Tan Ajahn Anan’s Dhamma talks and discussions on his recent trip to Buddha Bodhivana Monastery, Melbourne and Bodhikusuma Meditation Centre, Sydney. Renowned Thai Forest meditation master Ajahn Anan Akiñcano has a profound ability of teaching ultimate Truth on many levels, from the mundane to the super-mundane. These teachings are now accessible to the Western World through the gifted translations of Ajahn Anan’s longtime disciple, Ajahn Kalyano. This is the passing on of the Acariya Dhamma, the truth from our teachers. Translated by Western monastics who have come to him in search of Dhamma, these reflections on practice by Venerable Ajahn Anan Akincaño provide practical meditation instructions as well as descriptions of the higher stages of the path. Formal talks and question and answer sessions given by Venerable Ajahn Anan Akincaño on the occasion of the opening of the meditation hall at Buddha Bodhivana Monastery. Translated by Ajahn Kalyano. 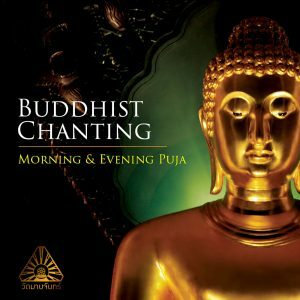 Chanting by Venerable Ajahn Anan Akincaño and the Wat Marp Jan sangha, including morning and evening puja, auspicious verses, and Thai sarabhañña chanting.